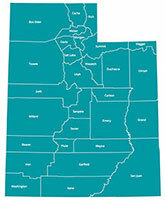 The Utah Cancer Control Program provides breast and cervical cancer screenings to Utah women aged 40-64 who are low income, uninsured, or underinsured. The UCCP provides breast and cervical cancer screenings to Utah women aged 40-64 who are low income, uninsured, or underinsured. Fill out these forms and bring them to your appointment.